I often refer to “Portes Ouvertes” on my blog. Taking place over a two or three-day weekend, these “Open Cellars” operations are marvelous opportunities to discover some of Bordeaux’s lesser-known appellations and estates – and to add to the cellar :-). Most of the Côtes regions in Bordeaux (Blaye, Cadillac, Castillon, Francs, and Sainte-Foy) joined forces to promote their wine in 2009, and changed the name of their appellation at that time. Castillon thus became “Côtes-de-Bordeaux-Castillon”, Blaye became “Blaye-Côtes de Bordeaux”, and so forth. However, the Côtes de Bourg decided to remain apart. My day began at the Maison du Vin in Bourg-sur-Gironde. The factoid here is that Bourg is not actually on the Gironde! The course of the river changed over the centuries, and it is now on the Dordogne. 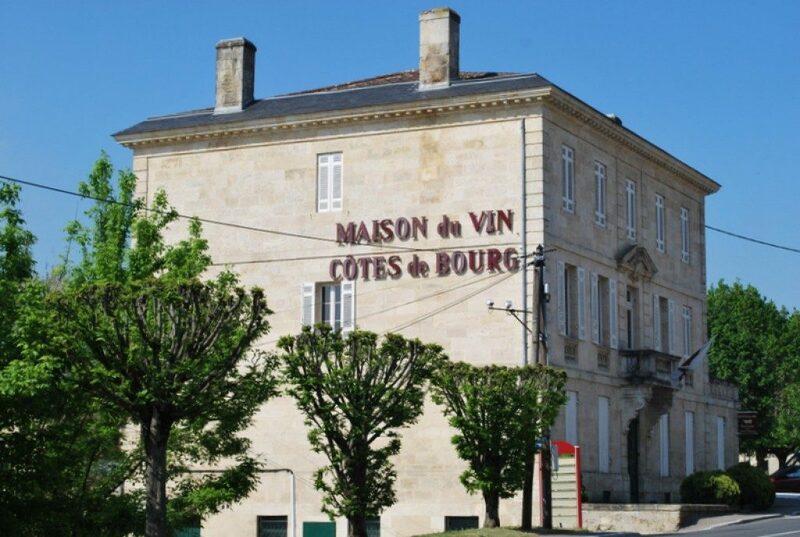 Anyway, the Maison du Vin (http://www.cotes-de-bourg.com/les-cotes-de-bourg/la-maison-des-vins/) is extremely well geared up for wine tourism with a beautiful modern tasting room overlooking the river and a huge boutique. The advantage of wines from Bourg, of course, is their price. I visited eleven châteaux in the Côtes de Bourg, and not one wine was over 20 euros a bottle. Château Brulesécaille: This was my last visit of the day. Historically, Brulesécaille is one of the leading estates in Bourg. While I found their 2015 white pedestrian, I very much enjoyed their fruity, delicate 2015 rosé and bought a couple of bottles. The 2014 red was as dependable as always. 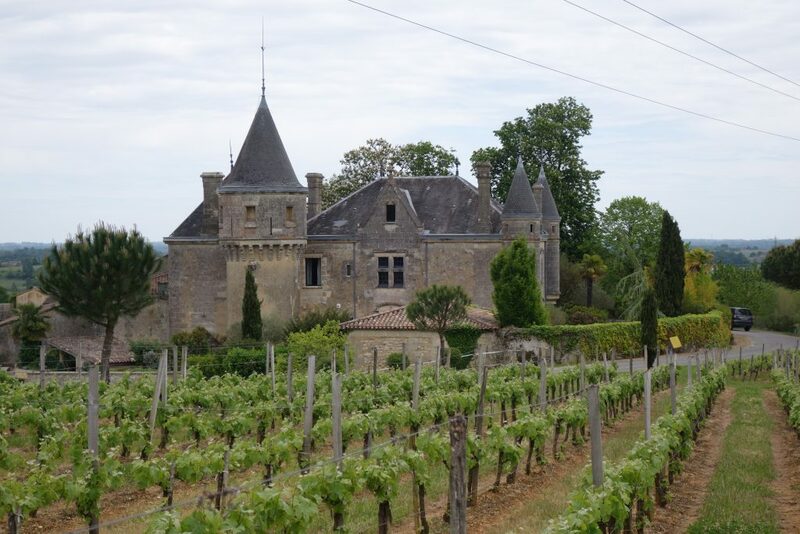 The Rodet family also own an estate in Saint-Emilion, Ch. Yon Saint-Christophe, which suffered terribly from the frost this year. The damage in the Côtes de Bourg seemed to be much less catastrophic, probably due to the tempering influence of the neighboring estuary. Château Conilh Haut Libarde: I met the father and son at this small estate on a rise and tasted their regular cuvée from 2012 and their Cuvée Excellence in 2012 and 2014. The latter were especially good and screamingly good value for money. I also tried wine from a sister château located on a different terroir, Ch. Font-Guilhem, that was not quite as impressive. Château Eyquem: Located a stone’s throw from Château Tayac, and also affording a beautiful view over the estuary, Eyquem is named after the famous philosopher Michel de Montaigne, whose family name was Eyquem. I was warmly welcomed in an attractive, spacious, and modern tasting room by Xavier Carreau, who is at the head of some 140 hectares of vineyards in Bourg and Blaye. The tasting started off with 2016 Ch. Barbé, a white wine from Blaye which was technologically impeccable and attractively priced, but did not seem much like a vin de terroir. 2014 Eyquem was in a tasty up-front commercial style and very good at its price point. Vignobles Bayle-Carreau also own Ch. Landereau, from a different part of the appellation, which was a more serious wine. Château Fougas: This is one wine from Bourg I know is well-distributed in the US. Robert Parker’s benediction is surely not for nothing here… The Bechet family vineyard is certified both organic and biodynamic. I tasted through 3 of their wines: the 2104 regular cuvée which was decent enough, followed by the well-known Maldoror which had a shortish aftertaste, but was otherwise a good middle-of-the-road wine. The top of the line, also from 2014, was the Forces de Vie cuvée. This was rich and interesting, if a bit dry. It punches above its weight. The 2012 vintage of the same was unfortunately much less good, with decided bretty aromas. Château de la Grave: This was my first stop of the day. The attractive 16th century château (renovated in the early 19th century) offers a commanding view of the surrounding vine-covered countryside. For what it’s worth, they also have guest rooms. I have enjoyed the château’s white wine for a long time and the 2015 vintage did not let me down. I bought 3 bottles. The reds were unfortunately not as good. We sampled the regular 2015, the 2014 Cuvée Caractère, and the 2014 Cuvée Nectar. The Caractère was the best of the three, but nothing special. And there was a certain dryness on the finish with all of them. Château Gros Moulin: This château is located just outside the town of Bourg. Owner Jacques Eymas poured us several wines. His 2012 Lys du Moulin, a white Bourg, was fresh but lacking the personality and his rosé (sold as Vin de France rather Bordeaux because the tasting panel found it was not typical enough…) which was, in effect, a bit unusual, but gulpable and with a mineral finish – perhaps more interesting than good. The 2014 red Gros Moulin was characterful and assertive, if a bit rustic. The Eymas family also produce two special cuvées: Per Vitem Ad Vitam (Latin for par la vigne, pour la vie) is a very serious and interesting wine, and I came away with a bottle. I found the next wine, Heritage 1757, to be big and juicy, but perhaps a little too dry due to the oak. Stéphane Derenoncourt is winemaking consultant for Gros Moulin and his positive influence clearly comes through here. Château Haut-Macô: This was the second estate I ever featured on my blog and I have been following it for years. The cellar is quite modern and the wine represents unbeatable value for money. I tasted the 2014 regular cuvée, which was good enough, but the not-much-more-expensive Cuvée Jean-Bernard was much better. Everyman’s fine Bordeaux J.
Château de l’Hurbe : I went here for lunch, but did not visit the cellars or have a tasting as such. I nevertheless enjoyed two of the wines over a leisurely lunch with the owner, Marc Bousseau on a trestle table in the vat room along with about 30 other people: the 2015 dry white wine and the 2012 red, sold under the name Château Sirac. If not memorable, both of these were good. I was not altogether convinced by their small production (700 bottles) cuvée prestige. Château Mercier: I have posted a profile of this tried-and-true Côtes de Bourg on my blog. Mercier is evidently well-considered in the region, because the place was mobbed for lunch. I did not taste here because I already know the wine and have several vintages in my cellar. I did, however, buy their excellent bag-in-box white wine. Three of them, in fact. At under 14 euros per three-liter box of delicious estate-bottled wine, how can you go wrong? I find this format especially useful for anytime wine and cooking wine. Mercier was showing, wait for it, some 21 vintages of their red wine. My palate was a bit jaded at that point, so I begged off. Mercier also produce a very interesting wine without sulfur called Atmosphères. Château Nodoz: Nodoz is a well-known traditional estate. I found that their 2015 white was lacklustre, whereas the red from the same vintage was simple, soft, round, fruity, and delicious. Wine from the sister estate, 2015 Château Galau, was barrel-aged, but I actually preferred the unoaked version of Nodoz. 2015 Château le Nègre (a name that might not go over very well in some countries…) was overly tannic, i.e. was not very refined, whereas the barrel-aged version of 2015 Nodoz was well-integrated with a silky texture and a long aftertaste. A fine bottle. 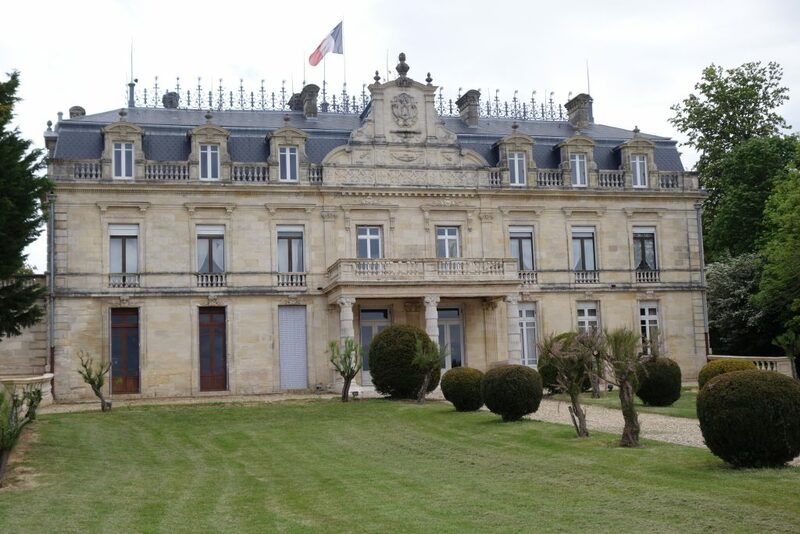 Château Tayac: One of Bordeaux’s huge advantages is to have wine estates with impressive buildings. Tayac is one such estate, with an attractive château overlooking the Bec d’Ambès, that the pointy tongue of land where the Dordogne and the Garonne meet to form the Gironde. I was taken with the 2015 white wine in terms of value for money and also tasted the 2014 Rubis du Prince Noir, the 2014 Cuvée Réservée, and the 2014 Cuvée Prestige. All were good, solid, old-fashioned wines. I went on to sample the 2010, 2009, and 2000 Prestige bottlings. The shared profile was of fairly grippy, long-maturing wines. Some of my “Anglo-Saxon” friends wail that Bordeaux has become too expensive. They should go to the Côtes de Bourg! Of course, not all the wines are worthy of special interest, but when you find a good one, the prices are ridiculously inexpensive. In fact, I think such wines can hold their own in terms of value for money with ones from anywhere else in the world. 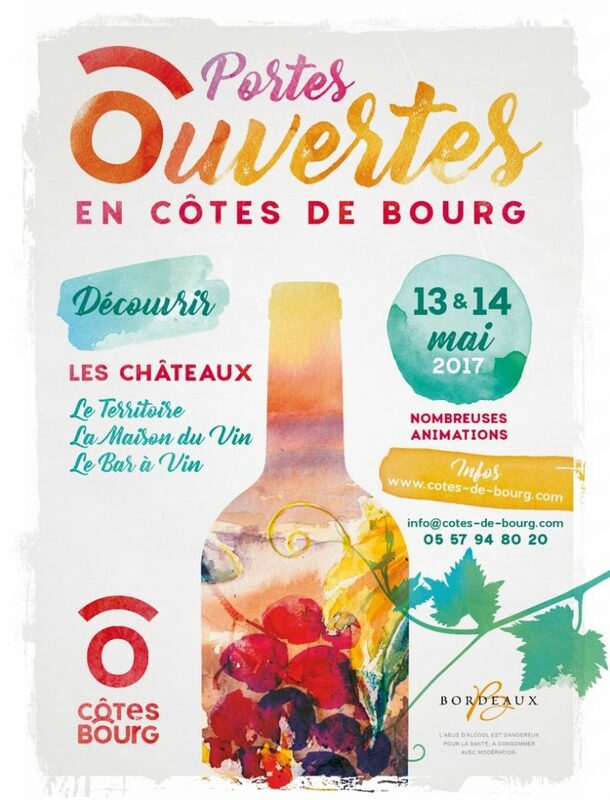 Posted in Tasting notes and tagged bordeaux wine, bordeaux wines, bordeauxwine, BordeauxWines, Cotes de Bourg, winelover on May 19, 2017 by AlexR.